In addition to managing the Staten Island office, Mr. Molinaro oversees public and private sector procurement advisories; bid opportunities; and provides advice and counsel on state and local legislative, government contracting, administrative agency and regulatory matters. Prior to joining Pitta Bishop & Del Giorno LLC, Mr. Molinaro served as the Borough President of Staten Island (January 2002 – December 2013). Before his election, Mr. Molinaro served as Deputy Borough President to former Staten Island Borough President Guy V. Molinari for twelve years, and prior to that as Chief of Staff to Mr. Molinari when he was representing New York’s 14th Congressional District. Active in conservative politics for nearly 50 years, Mr. Molinaro rose to the highest positions of leadership in the New York State Conservative Party including Chairman of the Richmond County Conservative Party and subsequently the Vice Chair of the State Party. In 1989, he was elected Executive Vice-Chair of the New York State Conservative Party, a post he still holds today. Mr. Molinaro has served on the Board of Directors for the Veterans Memorial Sports Complex, Staten Island Community Television, the New York Organ Donor Network (formerly the New York State Regional Organ Transplant Network), and Bayley Seton Hospital. He was also the Chairman of the St. Elizabeth Ann’s Health and Rehabilitation Center, which he helped to create. Mr. Molinaro also helped to establish Staten Island’s first AIDS day care center and AIDS medical care facility. 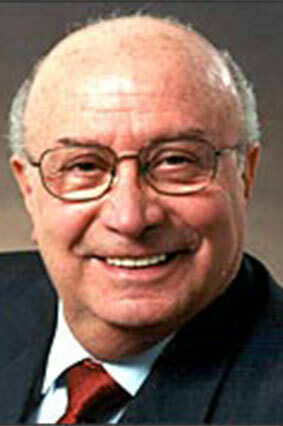 Mr. Molinaro currently serves as Vice Chairman of the Staten Island Economic Development Corporation. He sits on the Board of Trustees of the Richmond University Medical Center and the Heart Institute of Staten Island, a modern cardiac care facility. He is also a member of the Board of Directors of the Sisters of Charity Health Care Corporation. In 2000 St. Elizabeth Ann’s Health and Rehabilitation Center opened the “James P. and Carol E. Molinaro” Health Care and Rehabilitation Center Atrium, located at 91 Tompkins Avenue in Staten Island.